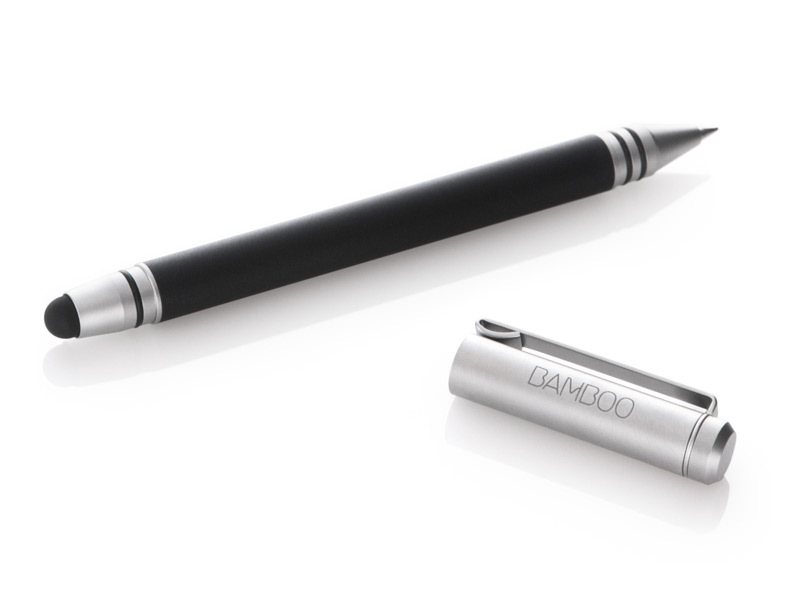 The Wacom Bamboo Stylus Duo ($39.95) is a stylus available for any touch screen device. It features a stylus on one end for writing on an electronic device and it features a pen at the other end. Itis $39.95 direct from Wacom so it is a bit of an investment but if you’re looking for a stylus, this may be your winner. It has a nice silver and black finish that makes it look and feel like an Apple product. That is hard to do but they did accomplish the sleekness of Apple’s devices. The stylus is favored over the use of a finger when looking for more detailed, fine touches on the screen rather than your digits. It does its job very well and the iPad picks it up every time, so it is very responsive. Many students, artists and designers use styli every day. Steve Jobs was right. Everyday people do not need a stylus to operate their devices. I have gone days using the stylus with everyday things on my iPad and I always find myself going back to my finger since it’s just better. Unless you are someone who takes notes on their iPad (no stylus should be used on phones), drawing, sketching, designing, or anything that requires a fine point, you do not need a stylus of any brand. With the previous paragraph in effect, it is not fair to review the specific stylus based on personal preference of stylus vs. finger. Therefore, I will review the stylus as if I were one of the aforementioned persons. While styli have a reputation for being cheap and made of plastic, the Bamboo Stylus Duo has a great Apple-like design. With a heavy frame, it doesn’t exactly fit Apple’s lighter is better philosophy but the weight is not wasted. The weight of the stylus puts weight on what your writing, which I have found is better to use than a pen for say. The weight provides a sturdiness that I have not seen of any other stylus. The weight also provides protection from drops. The finish on the stylus does not easily scratch, protecting its value for a long time. The ink part of the stylus, as with all pens, is covered with a heavy frame cap that will not easily break nor bend. You don’t have to set the cap aside either as you can put it on the top where the stylus tip is. One great feature of the stylus, as simple as it is, is it’s ability to clip onto something like some pens. Whether it be your shirt pocket or your iPad case (where I have it now), you can clip it on to something so you always know where it is. In terms of holding the stylus, it has a smooth texture that is easy on the hand and more comfortable than most styli, if not all of them. The stylus has little caps that hold either the pen or the stylus tip in and they are can easily twist off so you can replace the stylus tip or the pen’s ink, which is a great thing because, when I first started using it I didn’t think you could replace it and a question on my mind was “What if the pen runs out of ink?”. Problem solved. They are easy to replace, adding to the Apple-like simplicity to the product. The structure and design of the stylus deserve a lot kudos, they did a really great job with it. The stylus is useless if it isn’t practical or if it doesn’t work on the screen. As aforementioned, it works very well on the screen. It has smooth movement on the screen and glides seamlessly on it. So it does fit number two. Number one is kind of a different story. It really depends on what you use it for. It is not for the common man, however for it’s intended audience, it is absolutely great. Using several applications for which the stylus should be used, I come to realize that there is a market for these things whether Jobs saw it or not. Unfortunately for Wacom, it’s not a huge one, but they are still here and making money. Anyways, I used the stylus first for taking notes. Personally, it was an okay experience, I felt that writing on a paper with a pencil was a better experience and faster too. I also noticed my handwriting was sloppy using the stylus while taking notes. That may just be due to the fact that the iPad is not paper and it is smaller than paper. However, I have met people with better handwriting than me on the iPad so I have reason to believe it’s just me. There are some apps that will take your handwriting and convert it into text however and that is what the stylus is for! Taking notes that way is great! The popularity of apps like Notes Plus really drive the market for styli. Teachers can use the Apple TV and a projector and you have a smart board right there! The right app will make it great! Drawing and sketching with the stylus is an even better story. I absolutely loved drawing with the stylus on the iPad. I felt like a master artist at his easel, even though probably more than 95% of people are better artists than me. Using Sketchbook with the stylus was a great experience and my more-than-an-artist-than-me relative absolutely loved it. There are many apps that take advantage of the iPad’s large display and artists will love it. Interestingly enough, it is easier to use the iPad for art than it is to handwrite something due to the iPad’s size but if you find the right apps, handwriting is great too. Apps that don’t convert handwrite to text aren’t worth it, those apps get me agitated but the apps that work, work. The first con I think could be the deal-breaker with most people, since it will dampen the user-interface FOR MOST PEOPLE-especially with a price of $40. However, it is a con of ALL styli. It is my belief that you get what you pay for and for $40 you get the best stylus money can buy. Would I, the average Joe (no pun intended), spend $40 for it? Nope. But would a teacher who desires a smart board, an artists with ambitions or a student with millions of notes to write buy it? Absolutely. And of course, you might just be one of those people who prefer styli and if you are any of these people this is THE Stylus. It’s sleekness, smoothness, ease of use and the cleverness of an added pen to it make it the ideal stylus. 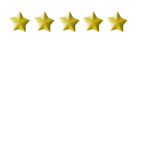 For me, despite the fact that I would not buy it nor use it everyday, those who will will appreciate the fact that I give it 5 stars. Excellent job Wacom for an outstanding stylus! 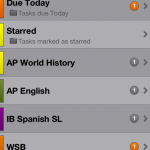 iProcrastinate (4.5/5) is an app that is available for iPhone/iPod touch and Mac with an iPad version coming soon. The app is advertised as “the ideal task manager for anyone who doesn’t want their todo list to get in the wayof actually getting things done… [it is] great for anyone who is looking for a mobile, easy-to-use task manager (not just for students)”. The app allows you to add anything into it whether it be school related or not. The app allows you to make high priority tasks, such as an assignment that is due the next day or low priority tasks for a workout that repeats every Monday and Thursday. 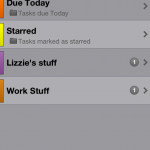 You can use preset groups such as “Due Today”, “Overdue” or “Upcoming” to manage tasks. You can star items for quick access to certain tasks. If you are a Mac user, you can download the free iProcrastinate app to accompany your iOS devices. While people that are not in school can use iProcrastinate, I feel that the app is very centered around students. The tabs that you can put tasks under are labeled as “Subjects”. It is advertised that you can add just about anything to the app, and while that is true, I feel a student will get a thousand times more benefit than one that is not a student. That is not to say that it won’t help you. For example, let’s say you are a parent and you have a busy, hectic schedule ahead of you. 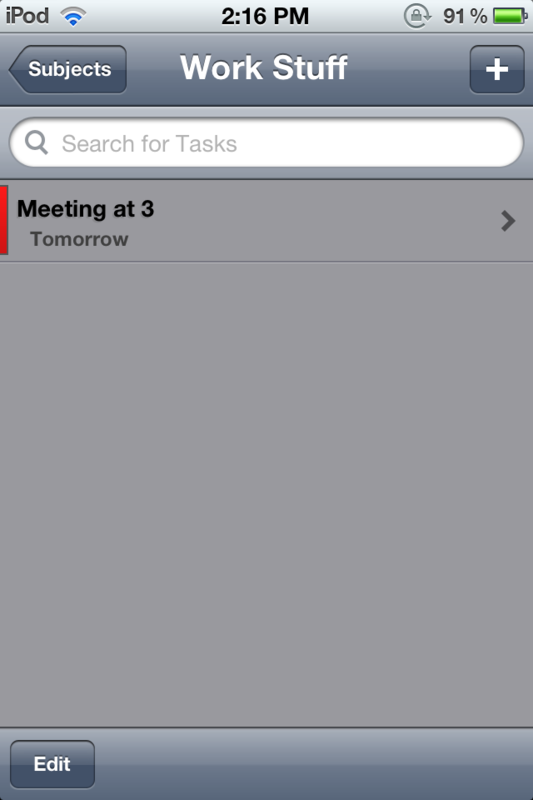 You can make a subject titled “Work Stuff” and you can put meetings, things to remember to do etc. Then once you get out of work, you have kids to take to places. You can put in other subjects such as a subject for each of your kids. Therefore, a example of that would be Lizzie’s stuff, Jake’s stuff etc. You can add events to each subject with a few touches of the screen. Say Lizzie has a piano recital you must attend in a few days, just a few touches and it’s added to your calendar. If it’s high priority, you can add it to the starred section and you also can give it the rating of “high priority” which will color code it to red, signaling you should work on that first, then work on yellow coded (medium) or green coded (not urgent). Let’s say that the teacher is sick that day and reschedules it in a week, it is even simpler to change it than it was to create it. Of course, as I mentioned before, the app is even more useful if you are a student, no matter the grade (though as you move along through school, high school and college students will use it the most, however I can easily see elementary and middle school students using it as well). As I said before the app is very centered around students and allow me to explain why. Students can lose track very easily as to what homework they have. Most students have iPhones or iPod touches they bring to school everyday and now if you are using it for school purposes you can use them in class. From experience, I know students don’t like the book planners and paper planners that schools give them or that parents buy for them. They much rather use something intuitive and readable (sometimes I’ve written things on a calendar and I had no idea what I put). They would much rather have one that is electronic and is on something they carry around everyday. One on their phone would be best. An app that would allow them to keep track, class by class, what assignments they are working on, what and when homework is due, keep track of projects and be able to record the steps they need to complete that assignment or homework. That’s right. You can add steps to the different tasks you add, probably the easiest thing to do in the app. 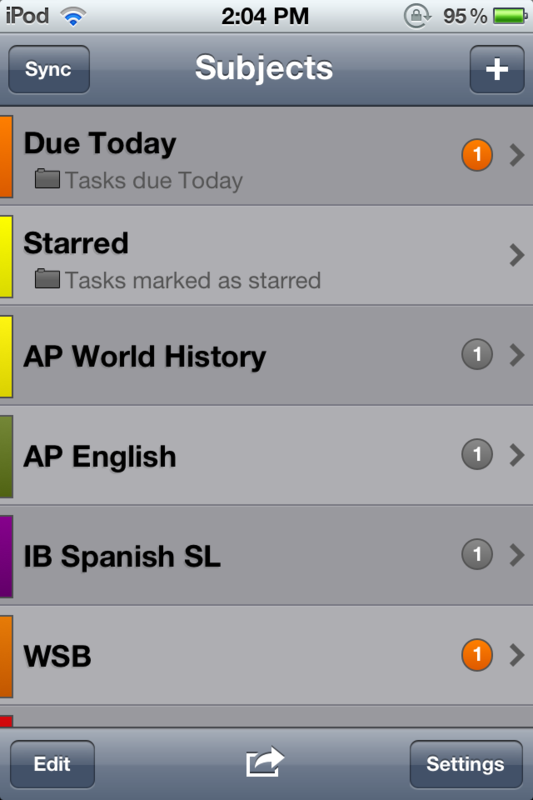 The app also has the tab “Due Today” which allows you to see the assignments or things you have to do “today”. 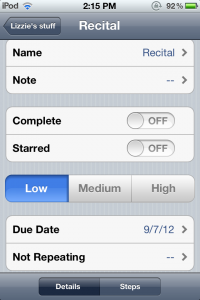 You can add other tabs too, such as “Due Tomorrow” (my favorite) and Upcoming (tasks happening/due within a few weeks). Again, it also has the starred tab which allow you to quickly view assignments you starred. You can mark assignments and homework by priority making it easier for you to decide which homework you should do first. As you can see, this app is centric to students more so than everybody else, however both students and non-students will enjoy this app. Students and non-students aside, the app has very distinctive features about it. First, it is simple to use. While I am not saying that other apps are not as simple as this one, this app has the features people would want out of apps such as these without being complicated, which they did an excellent job of combining those elements. Second, Mac users you’re going to love this, iProcrastinate has a Mac version available for free that accompanies the two sister apps. 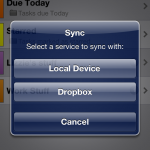 You can sync your tasks between iOS and Mac. It has all the same features as the iOS version AND you can add files to your tasks, so lets say you need to save some pictures for your history project, you can add photos that you may use later for the project. How cool is that?! No more looking for files on your computer for the picture you need for a project. Third, it warns you when it is past due or due that day. 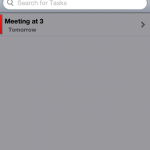 Fourth, it allows you to organize tasks by priority, due date or name. 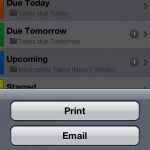 Fifth, the app allows you to email yourself a list of tasks and you can even print the task list right from the app. 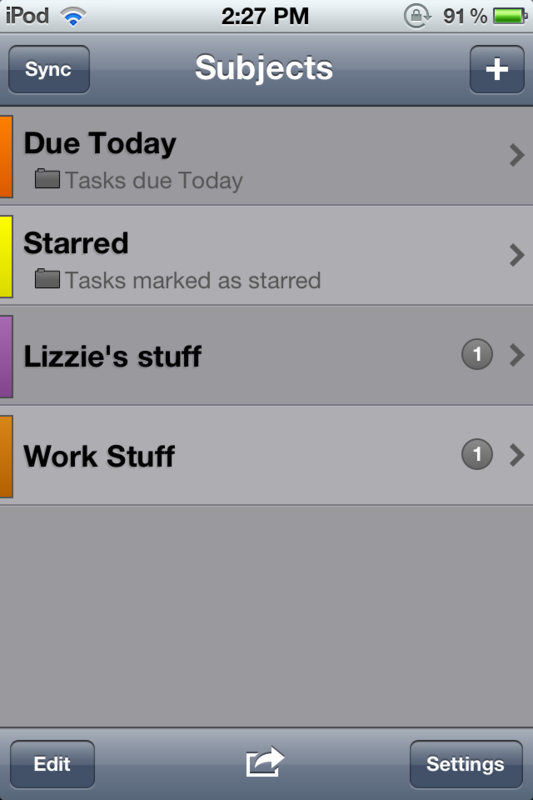 Sixth, you can add subjects, tasks or steps with a breeze and you can mark things as Starred or Complete just as easily. Last, I appreciate the fact that I can repeat tasks certain days of the week, like if I need to go to the gym every other day, it will automatically put it in for me after I set it to do that. You can stop the repeat anytime you like. Everything has room for improvement. I would like to see a Windows and Android app developed for them only because Apple is not the only platform out there and this developer would get a whole lot more buyers. 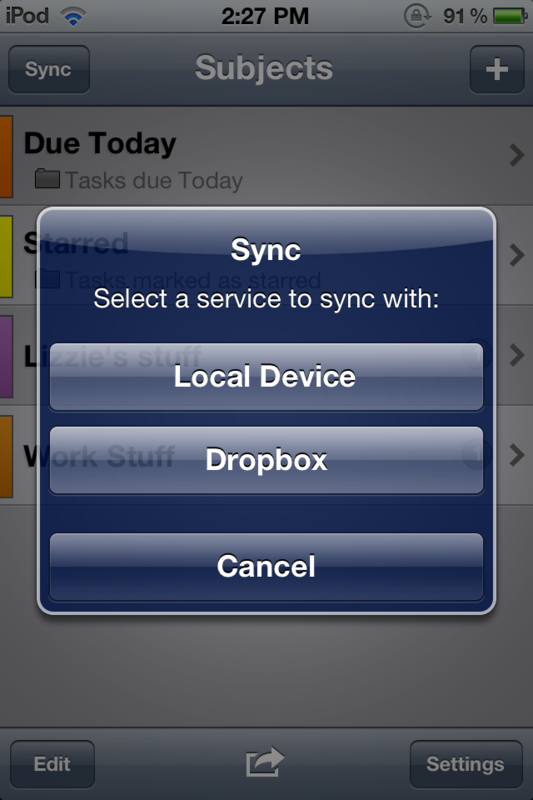 I would also like to see the Mac sync with the iOS devices with me having to tell it to sync. I have an iPod touch, an iMac and a MacBook Air. I would like it if these devices were synced with each other without me having to tell the MBA to sync with the iPod and then the iMac, perhaps an iCloud-like feature is what I am going for here. I would like it to be able to change the color code as time moves on. For example, I like to set things that I need to do in a week or so, as orange, so it’s something that’s not urgent but something I shouldn’t forget. Let’s say it is now 2-3 days before that event or assignment is due, I would like the app to automatically color code it to red. I would also like Notification Center support so it can send me a notification when something is due or close to being due (the Calendar app does this, you can set it to give you warnings about upcoming things). Other than that I can’t think of anything else I would want to add to it, the developer has done an excellent job with the app. This app is a great app for anyone who wants to keep their busy life in check whether you’re a student or not. While I would more strongly recommend the app to students, I believe it is a great addition to anyone with a busy schedule. If you have a Mac and an iPod touch or iPhone, you have it made when it comes to this app and with Lion’s/Mountain Lion’s full screen feature, you can keep the app full screen so you have a distraction-free, get-your-work-done kind of environment. I have tried other apps similar to this one and I have yet to find a better one. This app fulfills my needs and will fulfill your needs and any students needs. And for 99 cents, you definitely can not go wrong. This app deserves a 9/10. Great job Craig Otis, you did great! See down below for more pictures of the app. The screen you see when you go to a specific subject. Red next to the task is color coded for a high priority. The screen you get when adding a task to the page. You can Name it, put a note to go along with it, star it, mark it as complete, put level of urgency, due date, and whether or not you want to to repeat or not. Down below at the bottom you can see that you can add steps to the task. You will get this screen in two situations, one, when you add a new task, and two when you touch a task you have already added so you can update it. Welcome to the Church of Apple’s Review Page. 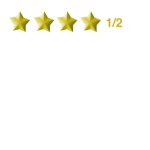 In addition to our regular articles at the main page, we will also have reviews of apps and products here. If you would like to get involved and write reviews and/or articles for us, please visit the main page and click the Get Involved tab. Also, please like us on Facebook, especially since, through November 11th, you will be entered for a chance to win a $250 gift card! All you have to do is click the “like”button on the right. Thank you for visiting The Church of Apple and I hope you like the reviews!